Design, technology and security. Even when you are away from home. For a welcome that suits your style. Comelit entrance panels are design-conscious products, inspired by the masters of modern architecture and decorating the entrance to your home in style. Elegant, durable frames that showcase all their technological potential when necessary. 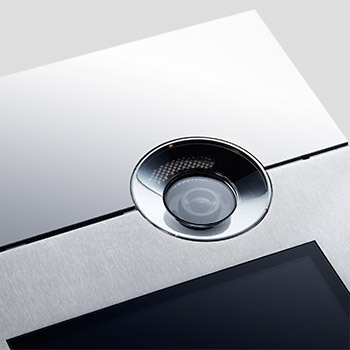 Comelit door entry monitors are design-conscious products created as the ideal decorative accessory for your home. But there is more than style to consider. 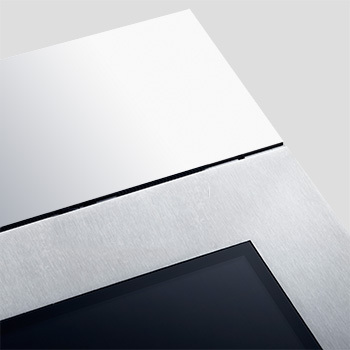 They actually offer an unparalleled level of technology, with functions and features designed to meet all requirements. Maxi: Technology and design in panorama format. Design inspired by the masters of minimalism, 7-inch screen and cutting-edge technology. 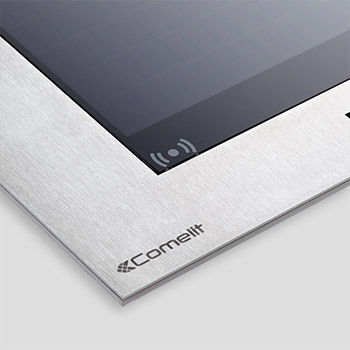 Comelit Maxi door entry monitor: the high-end door entry monitor. 16:9 7“ colour wide touch screen with touch activation. Audio and ringtone volume, colour and adjustment of backlighting intensity. Icona: minimal and pared-back design. Transparent, scratch-resistant polycarbonate surface and edges with a brushed metal finish. 16:9 4.3“ colour wide touch screen with touch activation. Mini: Nothing more, nothing less. 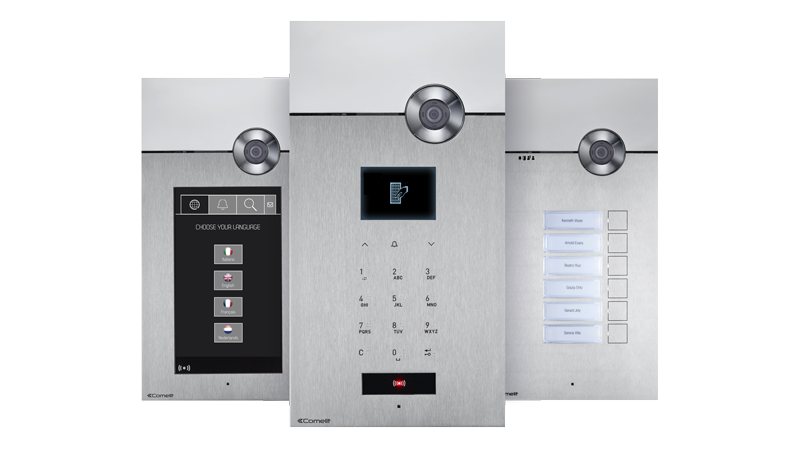 8 Sensitive touch buttons for lock-release, self-ignition, auxiliary command, privacy, floor door call and 4 further system functions. Stylish soft-touch finish. Available with desk base. With the Comelit App, you can answer calls from anywhere. And open doors and gates. Anyone trying to contact you via your video entrance panel will be able to get hold of you. The app will only activate on call with remarkable energy savings and data. 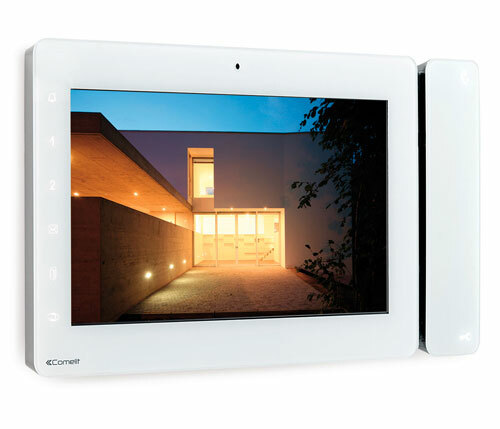 You can manage several systems at once and control the home automation system. 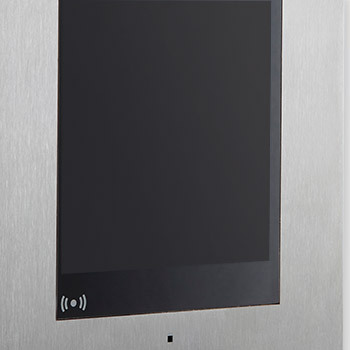 View videos recorded from outdoor door entry monitors and cameras (video memory). Control actuators to manage lights, gates and barriers. If you have opted for integration with the video surveillance system, you can check the cameras.